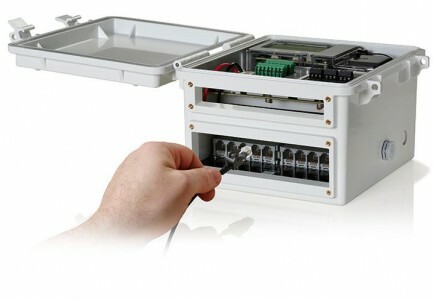 The RX3000 is the next generation of datalogger at the centre of monitoring systems that upload data to the cloud. Wi-fi, ethernet & 3G. The HOBO RX3000 is a research-grade data logging weather station that combines greater measurement flexibility and an on-board LCD display in a rugged, easy-to-deploy package. Configure up to 15 channels of plug-and-play Smart Sensors or up to 50 HOBONet Wireless Sensors, and add up to two modules. 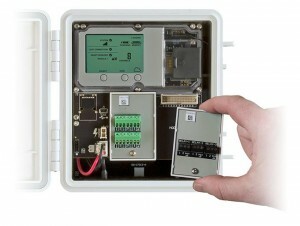 Modules are available for connecting up to 4 analog sensors or with 3 relay outputs to control devices based on alarm conditions. No need for programming or complicated wiring! 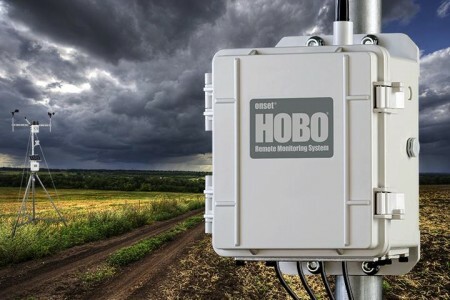 The HOBO RX3000 Station transmits data to HOBOlink - Onset's cloud-based software platform. HOBOlink makes it easy to access current and historical weather data, manage and control your RX3000 stations remotely, and set alarm notifications. You can also schedule automatic delivery of data files. Automatic delivery of data files can be scheduled via email or FTP in CSV or XLSX format, and an API (application programming interface) is available to organizations that want to integrate environmental data from HOBOlink web servers into their applications.